Gold fared well in 2017, although not as well as some had hoped. The yellow metal’s price ticked up 13.6 percent last year, with production rising about 1 percent year-on-year. The lowest price for gold came at the beginning of 2017, and the highest level came in September, when the US and North Korea were experiencing greater-than-usual tension. Global gold demand fell 7 percent in 2017, according to the World Gold Council. Last year’s steady output came as higher production in the US, Canada and Australia was offset somewhat by a decrease in China. Overall, worldwide gold output clocked in at 3,150 MT last year. Keep reading to learn more about the largest producers of gold in 2017, based on numbers reported by the US Geological Survey. Once again, China was the largest producer of gold in the world, mining 440 MT in 2017. The country has now held its top position for over a decade. China’s production dropped by 13 MT in 2017, and the decrease is thought to be the result of increased environmental regulations. China and India led gold jewelry buying last year, with demand increasing by 4 percent, the first time the sector has seen growth since 2013. Gold production in Australia had another high-performing year, reaching 300 MT in 2017, up from 290 MT in 2016. 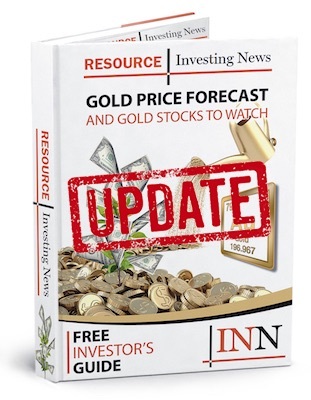 The increase occurred despite the fact that Newcrest Mining (ASX:NCM), the country’s biggest gold producer, reported lower gold production in 2017 than it has in previous years. Russia’s was the third-largest producer of gold in 2017, with its output holding relatively steady at 255 MT. However, the country plans to increase output over the next decade or so. In 2016, it was reported that Russia is planning to raise its annual gold production to 400 MT by 2030. According to the US Geological Survey, Russia’s gold reserves stand at 5,500 MT, just under South Africa at 6,000 MT and Australia at 9,800 MT. Most gold in the country was produced at more than 40 lode mines, several large placer mines in Alaska and a number of smaller placer mines in the Western US. The top 26 operations in the country were responsible for 99 percent of American gold output. Gold production in Canada rose noticeably in 2017, allowing the nation to become the fifth-largest producer. Last year, the country reported output of 180 MT of gold compared to 165 MT in 2016. Peru saw a slight increase in gold production last year, with output rising from 153 MT in 2016 to 155 MT in 2017. The country saw its lowest level of production and exports in 2014, and has since made a slight recovery. That said, illegal gold mining continues to be a struggle for the country, and has been responsible for the devastation of land, including patches of the precious Amazon forest. South Africa’s gold production remained the same in 2017 compared with 2016. The country’s gold output has fallen 85 percent since 1980, but it has been one of the world’s top gold producers for decades. According to the Economist, rising labor costs, low gold prices, labor strife and frequent stoppages have all led miners to question whether they want to have a presence in the country. Proof of that came when AngloGold Ashanti (NYSE:AU) announced plans to lay off one-third of its South African workforce. Racial tensions have also contributed to friction between mining companies and the government. Furthermore, there is currently a water shortage in South Africa that is likely to impact mining and other industries. It is too soon to tell what the ramifications may be. Mexico is another largest gold producer that saw a production decrease last year. Fluctuating and underwhelming gold prices in combination with maturing gold mines have created production challenges for the country’s gold operations. Still, there have been a large number of discoveries and mine developments in Mexico over the last several years, and those have allowed the country to remain a top gold producer. Uzbekistan comes in ninth on the list of the largest producers of gold. The country produced 100 MT of gold in 2017, down slightly from 102 MT in 2016. The country’s Muruntau gold mine is one of the largest open-pit mines in the world. Uzbekistan has been producing from old mines for quite some time, and has not seen much exploration investment. Indonesia’s gold production remained the same year-on-year, resting at 80 MT in both 2017 and 2016. The Grasberg mine is the country’s largest gold mine; it holds 25.8 million ounces of gold as well as 26.9 billion pounds of copper. Grasberg has been in the news this year due to Freeport-McMoRan’s (NYSE:FCX) decision to divest 51 percent of Freeport Indonesia to the Indonesian government. What do you think of our top 10 gold producers list? Which gold producers do you think are going to perform well in 2018, and which ones do you see falling? Let us know your opinion in the comments. According to the USGS, PNG produced 50 tons, so it ranks as 13th in the world for production.